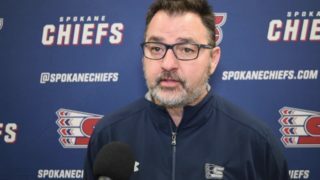 CALGARY, Alberta – The Spokane Chiefs selected forward Luke Toporowski with the eighth overall pick in the 2016 WHL Bantam Draft on Thursday morning in Calgary. Toporowski, the first American-born player taken in the 2016 draft, is the younger brother of current Chief Jake Toporowski and son of former Chief Kerry Toporowski. A 5-foot-10, 163-pound left wing from Bettendorf, Iowa, Toporowski played the 2015-16 regular season with the Chicago Mission Bantam Major AAA of the High Performance Bantam Hockey League. He scored 22 goals and 11 assists in 20 games, earning Top Scorer honors. He was also the top scorer at the 2015-16 Pat Quinn Classic Bantam Elite Tournament. “Luke is a player who generates scoring chances for his team with his speed,” continued Moulton. “He impressed our staff with how he wants the puck and puts himself in a good position to receive it. Van Impe, a 6-foot, 150-pound puck-moving defenseman from Calgary, Alberta, racked up 15 goals and 28 assists in 36 games with the Calgary CNHA Northstar Sabres BAAA team. Chorney scored in bunches for the Sherwood Park Flyers BAAA team in Sherwood Park, Alberta, posting 31 goals and 35 assists in just 36 games. Chorney, listed as a right wing with a 6-foot, 170-pound frame, added 6 goals and 8 assists in the 2016 playoffs. 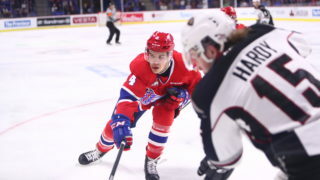 Beckman, a 5-foot-8, 139-pound forward from Saskatoon, Sask., scored at nearly a goal per game pace during the 2015-16 season, punching in 29 goals and adding 14 assists in 30 games with the Saskatoon Frostbite BAA. He then added 8 goals and 6 assists in 5 playoff contests. Standing at an imposing 6-foot-3 and 183 pounds, Hawryluk has the physical tools necessary to be a goalie in the Western Hockey League. 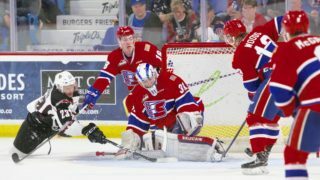 A native of Lloydminster, Alberta, he posted a .906 SV% in 1,306 minutes over 22 games for the Lloydminster Heat last season and was named the team’s MVP. Toth is a 5-foot-11, 160-pound defenseman from Edmonton, Alberta, who played last season with the Edmonton SSAC BAAA club. In 34 games, he recorded 7 points (2g, 5a) while piling up 73 PIM. Out of Port Moody, B.C., the 5-foot-10, 155-pound forward spent the 2015-16 regular season with Yale Hockey Academy Bantam Prep, posting 12 goals and 21 assists in 25 games. Labant racked up 88 PIM to go along with 34 points (19 goals and 15 assists) in 36 games with the Fort Saskatchewan Rangers BAAA club. With a late October 24 birthday, the young forward already comes in at 6-foot-2 and 181 points. 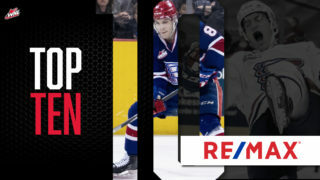 Larson is a 5-foot-8, 158-pound forward out of Weyburn, Sask. He posted 30 points (11 goals and 19 assists) and 30 PIM in 38 games with the Notre Dame Hounds BAAA during the 2015-16 season. 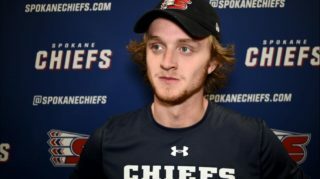 Hale is the second American player selected by the Chiefs in the 2016 draft. Out of Minneapolis, MN, in 14 games in the Minnesota High School system, he scored 14 goals and 5 assists. Ticket packages for the 2016-17 regular season are already on sale! With packages starting as low as $110, there’s a plan for any budget. 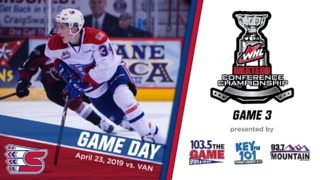 Visit the Chiefs’ Ticket Office in person at the southeast corner of Spokane Arena or call 509-535-PUCK for more information.